The new Advance Care IP Nurse Call System now has an industry first, built in “Real Time Location Tracking” ability or RTLS as it is commonly known. What is RTLS? – RTLS is the ability to track assets and people (Staff & Residents) within a healthcare facility. This is achieved by a combination of active tags and badges that are continuously transmitting their ID to strategically located receivers that are picking up these signals and passing them back to headend equipment for location processing. The Advance Care™ RTLS is what’s known as a “dual technology” RTLS. This means that we use the advantages of two different technologies. Infrared to guarantee 100% room level accuracy and RF to cover areas where no Infrared infrastructure exists. The required RTLS infrastructure has now been built-in to all Advance Care IP nurse call equipment as standard. So RTLS infrastructure costs are effectively zero. RTLS embedded within the nurse call system allows for functionality not possible with 3rd party integrations. The software history logs will show unscheduled or informal visits as well as standard Presence and Cancellation of Calls. All these features are within a single easy to use Nurse Call software platform. 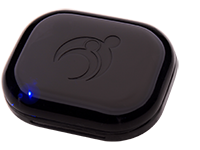 Traditionally, wireless products have a short battery life. 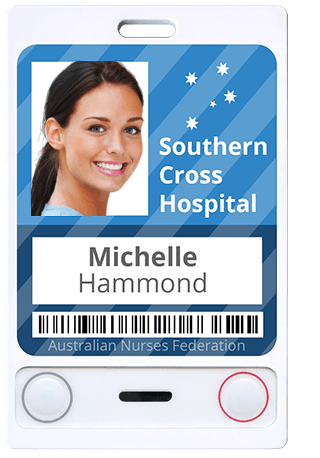 Advance Care™ Asset Tags, RF Pendents and Staff Badges have all been designed to optimise battery life without compromising RTLS update performance. Battery life of Advance Care™ asset tags is expected to be between 4 to 8 years depending on movement. Staff Badges are USB rechargeable and will only need recharging after a month or so of use. The Advance Care IP Nurse Call System Software allows users to monitor or modify the entire Nurse Call System from the click of a mouse. Displaying a real time list or map location (visible at a distance of 10 metres), of all active Nurse Call, Access Control, Security and Fire alarms in a prioritised colour code, reverse chronological order format, the Staff Menu is simple and easy to use, even for those with a novice level of computing skills. From the Staff Menu, management and staff, also have quick access to manual messaging and other restricted screens. Recording event information with time-stamps is an invaluable tool to help identify staffing needs and monitor call activity. Helping to reassure family members that their loved ones are being given prompt assistance, the Software provides a comprehensive call history and report analysis. Managers can send calls/alerts to the appropriate care provider, dynamically adapting to staffing levels between a multiplicity of possible morning, day and evening shifts. The Admin Menu also contains a Changes Log which records every action made or modified; a Maintenance Log to report on the status of equipment and devices; a User Access configuration tool to provide staff with access to restricted screens and functions; the ability to view the live status of Wireless Devices; complete control over Dementia Management programs; and the ability to set recurring Reminders and Alerts. At Advance Care™ we understand that reporting within a healthcare facility is a very important tool to ensure the facility is functioning correctly and meeting any KPI’s that may be set. 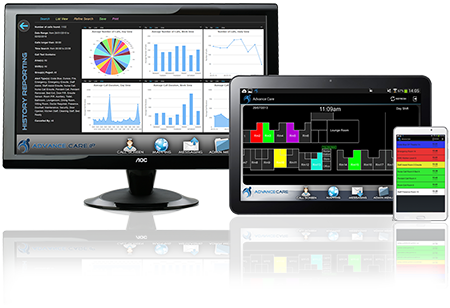 The Advance Care IP Nurse Call System has a comprehensive set of Software reporting tools that can track and report on any event logged within your facility. For example, if you needed to report on Nurse Call Activations that were not cancelled within 10 minutes on a certain time and date, a simple click of the mouse will display this information.